Boston Detective D.D. Warren faces her most brutal adversaries yet—a class of jaded thriller writers—in New York Times Bestselling Author Lisa Gardner’s exclusive e-Book short story. In Lisa Gardner’s second short story, after the New York Times bestseller The 7th Month, Detective D.D. Warren takes on her most intimidating assignment yet: a fifty-minute class meant to educate a horde of bloodthirsty thriller writers on the ways of actual police work. Yet sometimes life really does imitate fiction, as D.D. takes the writers through the reality of one of her most twisted cases—a case that involves a seedy motel room, drugs, prostitution . . . and a severed leg. A fun and interesting look at a crime scene and the processes the police establish at the scene of the crime – I can feel the author smiling as she writes. 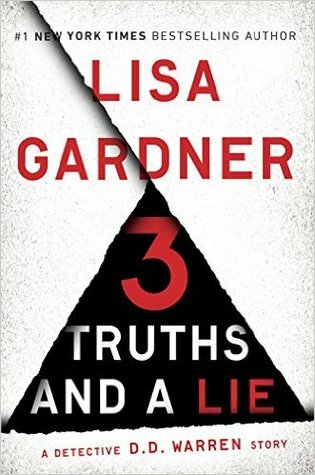 Cheekily she includes or sometimes alludes to famous crime fiction writes as part of the lecture audience, Lisa Gardner really is enjoying writing this short story and at the same time cleverly promoting her next book. Does she realise that in Western Australia we hold a similar series of lectures for authors, readers, writers and various “experts”, CrimeScene WA where indeed blood splatter, evidence, poisons, famous crimes etc are open for discussion. Love the connection here. This entry was posted in Book supplied by publisher or author for review, Mystery and Thrillers, Police Procedural, Post Script: Book Reviews, Short Stories and tagged CrimeSceneWA, DD Warren #7.5, NetGalley. Bookmark the permalink. Oh, that does sound good, Carol. And what an interesting approach to telling the story, too. Innovative! Margot – you could really feel that the author was enjoying writing this short story . And the crime scene analysis was very interesting. Smart woman Lisa Gardner.